Diz Moore: What did you get me outta bed for? Clarissa Saunders: Shhh. Sit tight. The show's about to commence. Diz Moore: Do mind telling me what's about to go on around here? Clarissa Saunders: Certainly. Now, there's the principal actor in our little play: Don Quixote Smith - man with bill. Over here, one of the supporting characters. Clarissa Saunders: That gorilla in man's clothing: McGann. Diz Moore: Oh, you mean, puss in boots. Clarissa Saunders: Yeah, mostly puss. Aw, another prominent character in our play, the silver knight, soul of honor on a tightrope. Q: What is 'Mr. 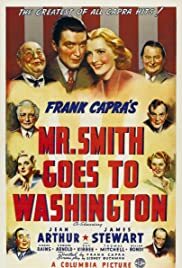 Smith Goes to Washington' about? Q: What was the original ending? Now, I must admit that this is one of my top five favorite films. There is a warmth, idealism, and kinda simple feeling of hope, that makes one believe that things will work out in the end. Capra knew exactly what he wanted, and it shines. 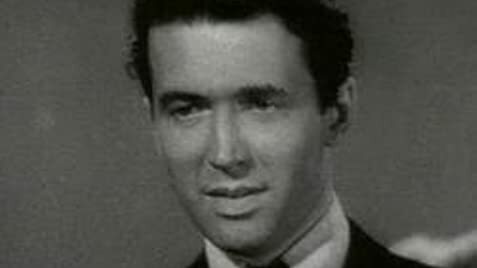 Jimmy Stewart, in the role of his life, makes us believe, what we know is almost impossible in todays crass world. Claude Rains is incredible as Senator Smith's evil mentor. Jean Arthur, as his confidant, plays the part so well,that we just want her to save the day. The final scene, where the filibuster is taking place, is among the greatest ever made. BUT THE PROOF, YOU ASK? In the early 80s, I showed this film, over three days, to a group of 15 year old inner city teenagers. I taught Political Science in a very difficult school in Chicago. It was a new class, and not all of the "best" students took it. I decided to show this film at the end of the year, just to see how long I could keep the students attention. I didn't expect much. Fifteen is a very tough age to keep any kind of attention span, and it was at the end of the day, 2:30 -3:15 pm. which made things worse. As the film began, there was rustling in the seats, boredom, that famous oh what a waste of time look...Mind you, this is 43 year old film, about a white Senator, in those "old" days, and being shown to a totally Afro-American crowd of 15 year olds, late in the day, (over a three day period, which meant the students would have to wait till the next day to see what was going on. ..By the end of the third day, Capra had worked his magic, and the entire class was spellbound by this film. They were there till the very end, and you could see how much they enjoyed seeing a film, that they wouldn't have looked at in a thousand years..Comments were wonderful. Any film that could accomplish this, more than 40 years after its conception, to a crowd that no one would believe would have any interest in, deserves to be truly called a "great film." 128 of 156 people found this review helpful. Was this review helpful to you?